Ask Lauren: What is “Plastic Soup”? 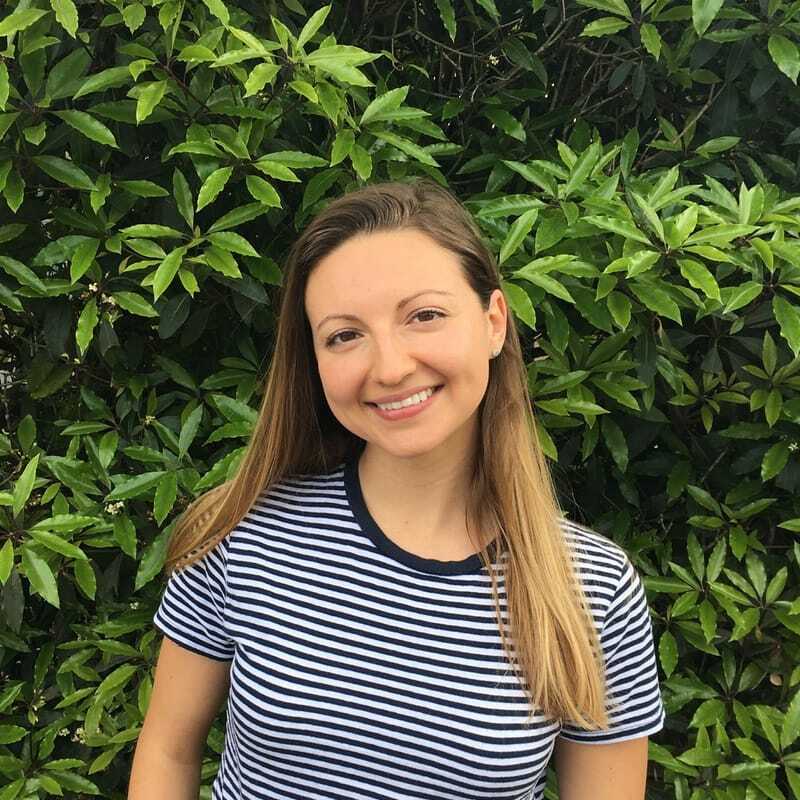 ASA has brought on marine conservationist Lauren Coiro to help with advocacy and education when it comes to how sailors interact with the environment that they call home. “Ask Lauren” will be a regular feature where our questions on the environment will be asked and answered. Do you have a question? Ask Lauren! 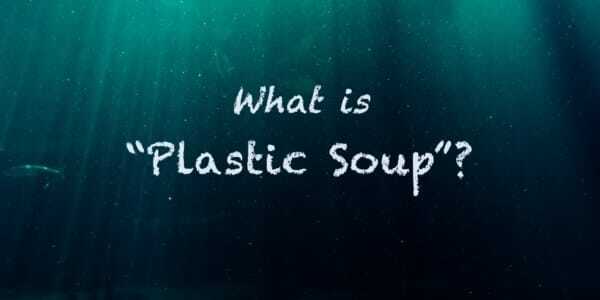 ASA: I have heard the term “plastic soup”…what does that mean? No no, this is not the kind of soup you’d order with half a sandwich. You may have heard a news anchor describing a “plastic island” the size of Texas floating out in the Pacific Ocean somewhere. The word “island” prompts us to envision a 600,000 square-mile mass of plastic that you could sunbathe on, but it’s not quite as simple as that. This mythical new federation of plastic bits is known as the Great Pacific Garbage Patch, and not only is it one of many, but it’s also not “island”-like at all. The reality of plastic in our ocean is that it’s everywhere, and it comes in all shapes, types, colors, and sizes. Different types of plastic pieces float and drift throughout the various depths of the water column, much like the varietal “chunks” in an extra chunky cup of soup. The plastic does not band together to form a structure but simply accumulates in different concentrations throughout a vast circulating current. 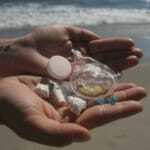 What exactly is the Great Pacific Garbage Patch? There are five major rotating current systems, or gyres, in the world’s oceans. They are caused by the Earth’s rotation, prevailing winds, and ocean currents. Plastic pollution from all corners of the world floats on the surface and eventually becomes caught up in these currents. Because it does not degrade like organic matter but instead breaks into smaller and smaller pieces, it can swirl and accumulate in these gyres for decades or more. The Great Pacific Garbage Patch is the largest and most famous of the five, with a massive cleanup attempt already underway. Remember when I asked if you were hungry? “Plastic soup” does not sound appetizing, but the ocean’s wildlife can’t distinguish between food and trash. Plastic debris ranges in size from a beach chair to the tiny little microbeads in your face wash, and as they continue to break down into smaller microplastics, they are ingested by all levels of the marine food chain. This means plastic and its toxic components are accumulating through the food chain and eventually make their way to our favorite seafood restaurant. 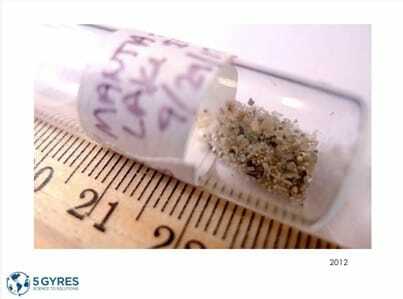 Microbeads and tiny plastic pieces get eaten by our seafood. Image courtesy of the 5 Gyres Institute. 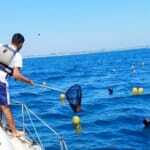 Thousands of miles offshore lie these swirling pots of plastic soup, and they are growing every day. While incredible minds and resources are working toward cleaning them up, the least we can do is stop adding to them. Lauren is a marine conservationist, writer, and advocate for ocean-friendly living. She’s spent her entire life in the water, snorkeling, scuba diving, and kayaking, and has traveled to various parts of the world to study the ocean’s biodiversity and explore coastal communities. Lauren realized that the very best way to experience and appreciate the marine world is to get out there and start sailing! 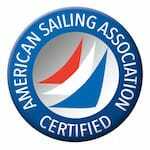 With her ASA certifications Lauren hopes to make sailing a permanent part of her life and to connect with like-minded people who share her love of the sea. She admires the hard work and simplicity that can come with the nautical lifestyle and is eager to share how her ASA experience raises questions, challenges, and new opportunities along the way.